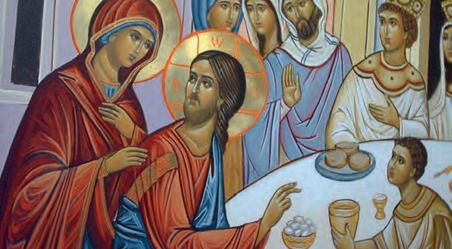 Is there, in the English Catholic Church, a crisis of confidence in the diocese as an institution which can be relied on: both to defend the integrity of the Catholic faith and also to promote it with conviction - to propagate it as being not just an optional lifestyle appendage, but as the indispensable key to life itself, as a faith which makes demands that must be met, not the least of which is the vocation to be a sign of contradiction to the values of the secular world? The governors of one of London's leading Catholic comprehensive schools, Cardinal Vaughan Memorial, have accused the Archdiocese of Westminster of forcing the school to water down its Catholic admissions requirements. They predict that the latest directives will devastate the school's ethos and deny places to deserving Catholic children from boroughs of London where Catholic secondary provision is poor. Cardinal Vaughan, in Holland Park, has traditionally served Catholics from varied backgrounds from all over London. However, Westminster diocese has threatened to report the school to the Government if it fails to apply only the bishops' "objective criteria" on admissions and no others. not allowed to make subjective judgments about "who is a better Catholic". The diocese said Cardinal Vaughan was not permitted to take into consideration "involvement in the wider life of the Church" or First Confession and First Holy Communion. It insisted, however, that the governors were incorrect to claim that regular Sunday Mass-going would not be taken into consideration and nor would the length of time parents had taken to baptise the child. A spokesman for the diocese said: "The school would be allowed to give credit to families for going to Mass every Sunday through the priest's reference form [my italics]. baptism within a year of birth is a legitimate one". The diocese said it had been supportive of the school; Sir Adrian said, well, in that case, why, when "the School's criteria relating to involvement in the life of the Church and reception of First Confession and First Holy Communion were ... agreed by the Local Authority" and when "in the annual consultation with relevant bodies these criteria attracted no negative comment" was there only one exception to this: three months late, the threat of the diocese of Westminster to report the school to the secular authorities? In the end, what did the whole thing really portend; what was the subtext to this affair? Damian Thompson, in his Telegraph blog, was pretty sure that he at any rate knew very well what it was all about: under the headline "Catholic Lefties won't be happy until they've destroyed the Cardinal Vaughan School", Thompson concluded that "what it boils down to, as far as I can see, is that the diocesan bishop, H.E. Cormac Card. Murphy-O'Connor, after consulting his Left-inclined advisers, has changed the rules. The criteria for assessing Catholic commitment have been taken out of the hands of the school, and also surreptitiously loosened....Diocesan Tabletistas disapprove of the old-fashioned excellence of the Vaughan, which they consider to be elitist. So, using the excuse of new governmentguidelines, they are quietly moving the goalposts. And - hey presto! - one of England's best Catholic schools turns into a bog-standard but ideologically pure local comprehensive school." Is that unfair? To read the diocese's side of it, you'd think so. But can you trust the diocese? The real point of this whole business, surely, one of them at least, is that there is a real lack of trust between the school and the diocese: the diocese is seen as the enemy, ultimately, of the faith itself: it is seen, in effect, as an agent of the secular power. And it is here that the affair becomes, not just a one-off battle between a bolshie set of school governors and a heavily bureaucratised local diocese but an emblematic struggle which enacts, yet again, the suspicion felt by many Catholics for the local Church authorities, usually in the form of the diocese. 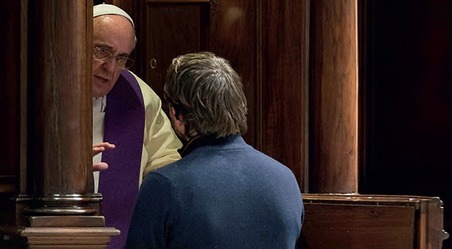 Most Catholics have a perfectly good relationship with their Parish Priest; the Church indeed, for most of us is embodied bytwo people: the PP and the Pope: only rarely by our local bishop and his administration. But it's youth. We're not going to switch light bulbs on in young people's heads, not at a single event. But it was felt some of that would be appropriate for young people." Leaving water in the kettle? "For young people that's an issue - energy saving." Could the Church be more radical? Talk about the serious questions - repentance, salvation? "You can't talk to young people about salvation. What's salvation? What does salvation mean? My eternal soul? You can only talk to young people in young people's language, really. And if you're going to talk to them about salvation, the first thing they will understand is saving the planet. You're talking about being saved and they will say: 'What about saving the planet?'" Is that really what they all talked about, those hundreds of thousands of young people at World Youth Day, in the intervals of all that old time religion, all that Pope stuff? Were they really not concerned about salvation and their eternal souls? Did they really talk about not leaving water in their kettles? One could go on. "Is it a good idea to go to Confession regularly?" asked Brown; "No," replied the good bishop "because my own experience when we had Confession every day at St Chad"s Cathedral in Birmingham was that regular penitents came back with exactly the same words week after week." The Catholic Herald came in for a certain amount of disapproval in my parish for publishing the interview at all, as though giving Bishop Conry a platform implied the paper's approval of his views and as though if we ignore his views they will go away. The fact is that what Bishop Conry said encapsulated what we are all up against in the English Catholic hierarchy. Among the bishops, he is by no means the odd man out: that is Bishop O'Donoghue of Lancaster, that good and courageous man. We needto know that; the Herald did us all a service.